Geoengineering and climate change: What are the risks? Climate change can be a touchy subject — even among advocates of climate action. And especially when it comes to the issue of geoengineering. Geoengineering is the idea of using technology to manipulate the environment in order to combat global warming. One popular example is stratospheric aerosol injection, wherein sulphur dioxide is injected into the atmosphere (like what happens during a volcanic eruption). 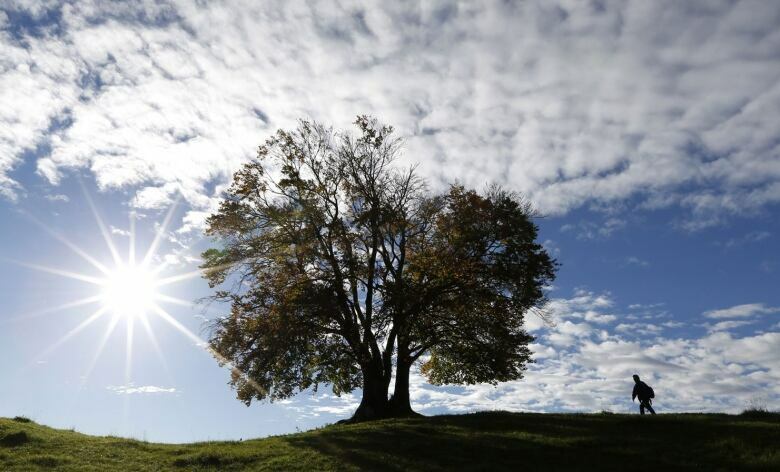 This reduces the amount of sunlight that can penetrate the atmosphere and could theoretically lower Earth’s temperature. Earlier this week, tempers flared on Twitter between climatologist Michael Mann and David Keith, a professor of applied physics at Harvard University and an expert on solar geoengineering. Keith, who is Canadian, was the co-author of a recent study released in Nature Climate Change that suggests solar geoengineering, paired with a reduction in CO2 emissions, could be used to cut global warming in half without making climate change worse. On Twitter, Mann seemed to say that some geoengineering proponents use the technology as an argument to stop cutting CO2 emissions. Keith said researchers in the field don’t feel that way at all. When I spoke with him on Monday about the study, Keith was quick to note that geoengineering is in no way a fix-all. He did say, however, that geoengineering is a taboo subject among some environmentalists because of a belief that “by even talking about these technologies, we could weaken the incentive to cut emissions, which was suggested in Mann’s tweet.” Keith said research needs to continue to determine the consequences of doing something as bold as spraying the skies. In a 2016 paper, Robock listed some of the potential risks of geoengineering, such as ozone depletion and drought in some parts of the globe. Robock agrees with Keith that we need to “stop using the atmosphere as a sewer for our CO2,” but questions whether geoengineering should even be considered part of the solution. Whatever the argument, geoengineering isn’t going to happen any time soon. There are moral questions — what if a country doesn’t want to change the temperature? — and cost concerns. Plus, the technology isn’t ready yet. To these climate scientists, the most important factor is CO2 emissions. We’ve gotten a fair number of emails about recycling — and the discrepancies from place to place. Has your community started or stopped recycling new materials in the past year? Let us know. A couple of weeks ago, we reported on proposed right to repair legislation in Ontario, which could extend the life of devices such as smartphones by making them easier to fix, thereby reducing waste and depletion of the world’s resources. One of our readers pointed out that Canada already has a right to repair agreement — though not a law — for cars, which offers a glimpse of the possible implications for electronic devices. Signed by all Canadian automakers in September 2009, the Canadian Automotive Service Information Standard (CASIS) provides access to information, tools and training to allow cars to be maintained and repaired with “after-market” parts and services that don’t come from the manufacturers themselves. “More and more, the vehicle is a computer on wheels and requires reprogramming at some time,” said Jean-Francois Champagne, president of the Automotive Industries Association of Canada, which represents the after-market. 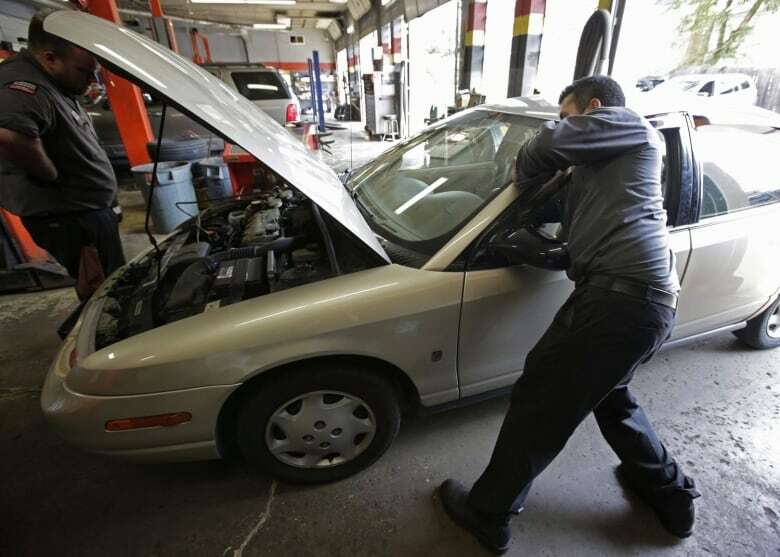 The agreement allows service providers to plug into on-board diagnostics and program the car to run again after a new part has been installed, even if it wasn’t made by the car’s original manufacturer. Until now, this voluntary agreement appears to have worked. The AIA said the automotive after-market now employs 400,000 people and contributes $21 billion to the Canadian economy — as much as the manufacture and sale of new cars. Champagne said Canadians are keeping their cars longer — over the past 15 years, the average age of a vehicle on the road has increased two years, to 10. Keeping devices longer is generally greener for something like a smartphone, but it’s debatable how often that’s true for cars, since newer cars are more energy efficient and many of a car’s lifetime emissions come from driving, not just manufacture and disposal. AIA is trying to get manufacturers together again to develop a revised agreement. That’s because CASIS’s usefulness may be coming to an end, thanks to advances in technology. Cars are becoming increasingly connected and the information is now no longer stored just in the vehicle itself, where after-market service personnel can get access — it’s being sent wirelessly to the manufacturer as you drive. Now that cars are becoming wireless devices, getting them “unlocked” is a whole new challenge. The idea of shutting cars out of downtown areas to improve urban life has slowly gained popularity. It’s happening in Brussels, Copenhagen and Oslo, with other cities studying the feasibility of following suit. 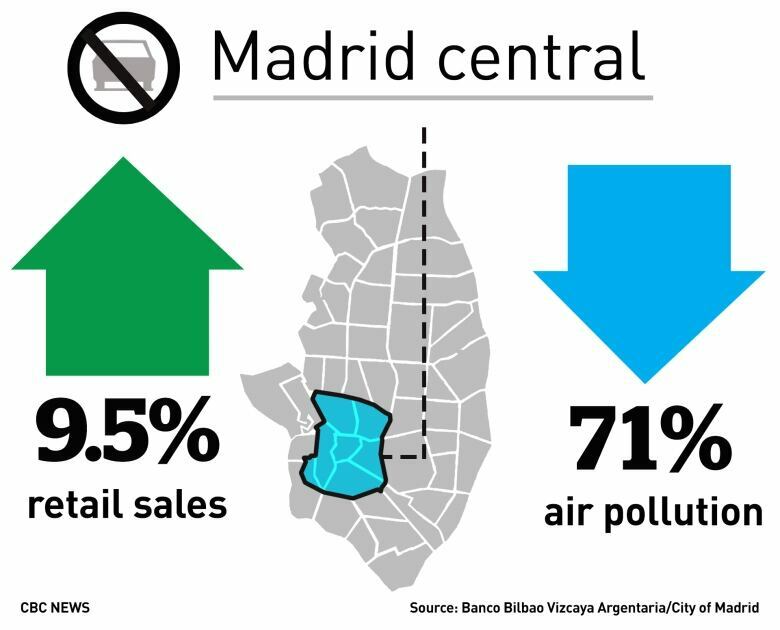 As an experiment, Madrid closed off its central business district to automobiles during the Christmas period (December 2018 into January 2019). The results are in: compared to the same period in 2017/2018, it increased retail sales by nearly 10 per cent and reduced pollution by more than 70 per cent. The quest for renewable energy has led to some amazing innovations, but China’s plan to have a solar farm floating in space by 2050 seems like next-level ambition. Right now, the country is trying to sort out one small detail: how to beam that energy back to Earth. You’ve no doubt heard about climate strikes being waged around the world by teenagers fed up with government inaction on climate change. Until now, the demonstrations have been somewhat sporadic, but students in almost 100 countries are expected to skip school on March 15 in a concerted global effort to sound the alarm. Social media is often criticized for being a hub for all-talk-no-action. But eco-minded hashtags have proved effective in mobilizing teens to clean up garbage in their communities. The Trashtag Challenge (which is using prompts like #trashtag, #trashtagchallenge and #trashchallenge) has inspired people from India to Russia to New Zealand to get off their rears and beautify their environment. Special bike lanes heated with clean electricity to melt snow. Automated dishwashers specially programmed to run late at night to streamline power consumption. A state-of-the-art composting system that transforms residents’ food waste into methane gas. These are some of the sustainability features promised as part of a “smart city” proposed for Toronto by Sidewalk Labs, a firm owned by Alphabet, Google’s parent company. 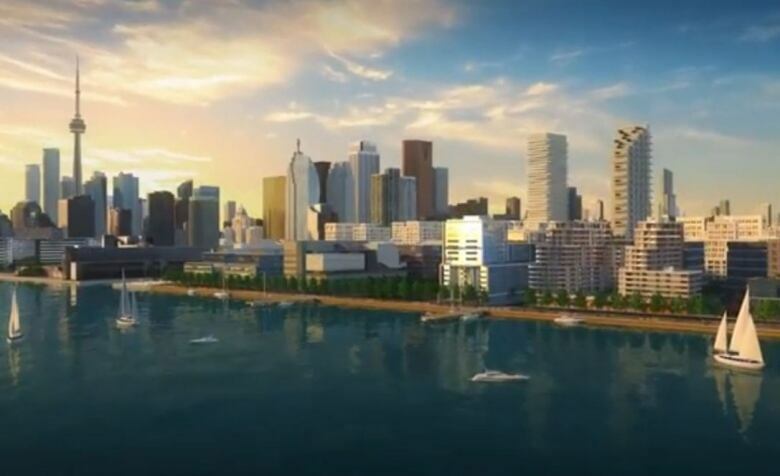 The project is called Quayside, and would be located on at least 4.8 hectares of waterfront land. The company first proposed this concept in 2017 and a government decision on whether it can go ahead is expected by year’s end. With 6.6 billion people globally expected to live in cities by 2050, according to the UN, debates over how cities can better combat climate change are becoming increasingly important. To entice residents to skip the car and pedal through the winter, the development will have heated bike paths. The lanes, and the buildings themselves, will be powered by what she calls “clean electricity,” including solar power generated by rooftop panels and power from Ontario’s grid, which is largely nuclear. The buildings’ infrastructure will make it easier for residents to separate their compost from garbage; digital systems will even send them a message if they put a non-recyclable item in with their recycling or are chucking out too much garbage. Organic waste from the buildings will be centralized and then taken to a special facility where microbes essentially eat refuse and emit methane gas that can be collected and sold. And residents who want to save energy will be given the option of allowing Sidewalk Labs to control when it’s most effective to run their appliances. Critics say Quayside’s green focus is simply a smokescreen for gathering private data on residents to sell for profit, while keeping a share of tax revenue. Many of these proposed sustainability features already exist in other developments, said David Murakami Wood, a Queen’s University professor who studies surveillance. He said he lives in an environmentally friendly house in Kingston, Ont., with almost no greenhouse gas emissions and with many of the features proposed by Sidewalk Labs — including a dishwasher pre-programmed to run late at night.